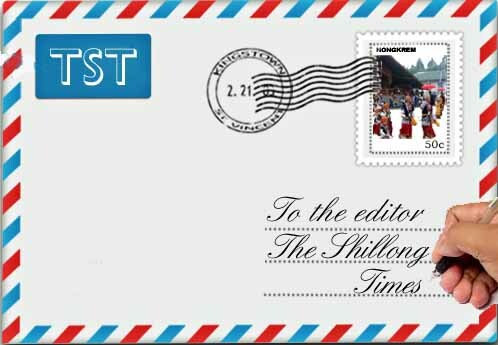 The Shillong Times recently carried a news report on the demand for Garoland by the Garo Hill State Movement Committee. It said that the Committee had fruitful talks with the Union Home Ministers, Rajnath Singh and Kiren Rijiju, last year on the Garoland issue. The Committee demanded that the MDA government through the Chief Minister should move a resolution in the Meghalaya Assembly for creation of Garoland and forward it to the Union Government. It also said that if Garoland state is created then the long cherished aspirations of the Garos, Khasis and Jaintias would be fulfilled. On this I wish to express here that the Khasis and Jaintias have never asked or demanded for creation of Garoland. In fact only the former popular political leader who was the President of Hill State Peoples’ Democratic Party (HSPDP), Hopingstone Lyngdoh, and his party had been clamouring for the creation of Khasi-Jaintia State but the demand has not been endorsed by other political parties and the Khasi-Jaintia people at large. Today this demand for creation of Khasi-Jaintia State is no longer alive. Perhaps someday someone may revive it. The GHSMC is well within its right to demand for creation of Garoland for the Garos but whether or not the present Meghalaya MDA Government will pass a resolution to that effect in the Assembly and whether the Union Government will favourably accede to the demand no one can say for certain. Even if the central Government grants statehood to Garoland sometime in the future, some technical and geographical problems that will crop up, as I can foresee, will be on the determination of the boundaries of the proposed state. Now, on the effective implementation of the Land Transfer Act in Garo Hills as demanded by the Committee from the MDA Government, I fully endorse it. I have myself seen many government lands in Tura Town alone and in many places in Garo Hills belonging to various Departments and government institutions have been rampantly encroached upon with impunity by so many unauthorised individuals without any deterrent action. This is a very serious matter and I request the MDA Government to immediately send its land squad to put an end to this crime. Even in Khasi and Jaintia Hills there are numerous encroachments into Government lands belonging to different departments and institutions. It is a matter of now or never. About encroachment into the Nokma A’khing lands, I do not know anything, but if it is so as alleged it will definitely adversely affect the land rights in Garo Hills and the demography of Garos will be in jeopardy. In your daily (ST Aug 30, 2018) there was a report stating that there was a proposal for construction of a road from Upper Shillong 7th Mile to Shillong city. We all get it that the traffic on that particular stretch is an absolute killer. However, we need to question as to whether constructing another road would actually ease traffic woes or only beg for more cars to be on the road? Further the ratio of vehicles with a Meghalaya registration as against that of Assam on this stretch of road is at any given point of time is 3:1 so would a new road really solve the problem. Then what about within the city limits? Here too traffic is crazy. One wonders about that too. Perhaps if our town planners improved the walkways for pedestrians then people would be less likely to sit in a car to go to work, or school or market. Our pavements are pathetic. Apart from the fact that they are so narrow and uneven, now they are occupied by vendors and hawkers? What happens to the elderly and challenged people? Don’t they too have the right to use our pavements to get around? After all what is life for them without dignity? The only way our society can give them that is by providing them with an environment where they have freedom of “‘Mobility'” and “‘Accessibility. Recently Union Coal Secretary inaugurated the first “Mono Rail Man Riding System” of India at one of the most modern Mines of Asia, Munidih Project of BCCL, Dhanbad. The system helps to reduce time and labour of mine workers. Smart City Shillong is riddled with irritating traffic congestion, perhaps next to Dhaka of Bangladesh, particularly during the college/school going and returning hours.Immediately after being sworn in as Governor of Meghalaya on Saturday Aug 25, 2018, Mr Tathagata Roy laid emphasis on improving state public transport here to solve the problem of road congestion. He pointed out that Shillong’s topography would not permit widening of roads and flyovers and hence emphasis should be laid on public transport. With public transport, road occupancy will be much less and private transport must be discouraged. The governor also stressed that the traffic problem needs to be addressed on priority basis. As he had been associated professionally with traffic jams during his long working period with the Calcutta Metro Rail Project for about 18 years, he certainly has some ideas about traffic control and management in his treasure trove of technical knowledge, experience and expertise. Meghalaya is the first state of India being headed by a technocrat Governor. It is a great opportunity for the state administration to enrich their knowledgebank by taking advantage of this knowledge and implementing them where needed in various development activities for achieving faster economic growth and progress of the state. As an immediate ameliorative and compulsory measure the college and school authorities may be directed to implement college/ school bus services for picking up and dropping students. This will not only relieve parents/ guardians from the tiresome responsibility of escorting of their wards/ children during rush hours to their colleges/schools but also ensure a thinner traffic density of twowheelers and private cars/ vehicles, thereby entailing smooth traffic flow. This will also salvage man-hours lost in government and private commercial offices including Banks & Post Offices and help employees to concentrate on their professional occupations and better manage their domestic obligations. It would also be worthwhile to make a feasibility study for introduction/installation of single – tire or even multitier mono rail man riding system in parts of the Smart City of Shillong.